Want to Add Texture to Your Designs? Try Grunge Wallpaper! 1 Want to Add Texture to Your Designs? Try Grunge Wallpaper! 1.0.1 Textures are not the be-all, end-all in graphic designs. 1.2.9 Did you like what we have here? Would you like more recommendations? We’ll be happy to help you out. Contact us. Wallpapers are the unsung heroes in graphic designs. You can add all the texture and details you want to your layouts to pique interest from your viewers. But wallpapers really does the trick. These hard-working elements set the tone and mood of the images. We follow many blogs and online fora relating to graphic design. And from what we’ve gathered, one of the top ten backgrounds used by most graphic designers is the grunge wallpaper. Let’s explore this design element. Are you looking to add a background to your designs? While adding the texture sets the feel of your images, nothing sets the overall tone and emotion of the layout better than wallpapers. These design elements can range from complex designs like a star-laden Milky Way galaxy to as common as a floral background. If you feel like your illustrations and designs are flat, then spruce it up by adding design elements. Create visually striking shapes and outlines to catch your viewers’ eyes. You might want to consider textures and wallpapers, as these are layout details that can make it a whole lot interesting. Textures are not the be-all, end-all in graphic designs. The old approach of exclusively using textures is long gone. Today new techniques in graphic design suggest pairing textures with wallpapers, among other layouts details. And why not? By incorporating other elements, these diverse tools allow a more illusionistic layout. Thus, a more sophisticated design. From various online fora and blogs on graphic design, we’ve managed to gather the top ten most essential backgrounds used by designers and illustrators. One of the must-haves is the grunge wallpaper. Read on and discover why this eye-catching design element should play part in your design process. If there’s one design element that will never go out of style, it’s the use of the layout background. And one of the all-time popular backgrounds is the grunge wallpaper. The aged and tattered visual effect gives designs a cool and informal edge. The great thing about having a grunge wallpaper is that it goes well with many other design elements. There is always something appealing to that vintage-style visual. Peeled paint, faded edges, and murky colors—the texture of this background piques the interest of many graphic designers. But more importantly, having a grunge wallpaper easily attracts the viewers. The versatility of the grunge wallpaper encompasses a wide range of use due to its feel and tone. There’s so much texture and visual interest in this design element. It’s also a wonderful layout to use for festival flyers, concert posters, and magazine covers. Grunge wallpapers are also ideal elements that you can place in apps and games. When applied in digital designs, the vintage effect adds depth and has a more immersive quality. If you’re looking to add a fantastic effect on your graphics, you might want to add this one to your collection of design tools. 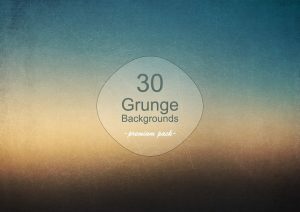 Try out the grunge wallpaper and see how it fits well in your layouts. One of the most remarkable crazes to hit the world of graphic design in recent years is the use of grunge wallpaper. For the artsy folks, they are particularly happy with its vintage-style, worn out look. As this design type made it big in the design world, grunge wallpaper is giving other design elements a serious competition. With every color and texture imaginable now available, grunge wallpaper is redefining artwork and design, particularly in the field of layout backgrounds and design elements. A right amount of this textural element can bring a whole new dimension to your images. If you’re looking for worn-and-torn visual elements, then these design collections are just for you. In this article, we curated some of the best grunge wallpaper designs. They range from irregular effects to high-quality grungy layouts. We hope you’ll find what you need here in this handful we’ve gathered. Looking to add clouds to your designs? Check out this wonderful grunge wallpaper. 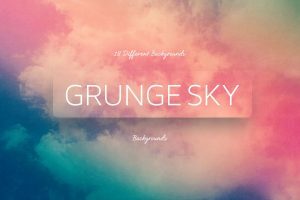 The Grunge SKY Backgrounds set features over 55 polygon colorful BGS, 32 motion grunge backgrounds, and more. You can buy this pack for only $5. 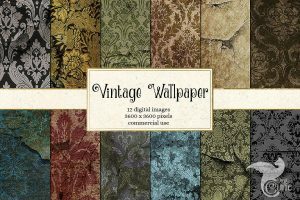 Looking for a vintage-style grunge wallpaper? Then here’s a lovely set of aged damask backgrounds. It features distressed textures in delicate patterns. This collection contains 12 images in JPG format. Ideal for web design, invitation cards, and scrapbooking. You can get it for $4. Here’s another set of sky backgrounds. This pack contains 12 wallpapers in JPG format. These images are easy to change and ideal for graphic layouts and web design. Buy it for $5. Want to add a roughened texture to your pictures? 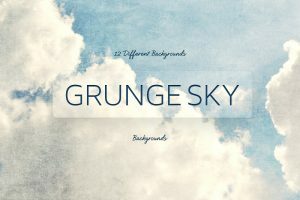 Here’s a unique set of grunge wallpaper vectors. It’s great for backgrounds of any size because these vectors can be scaled without affecting its quality. The grunge wallpaper set is available for $10. When you want a colorful grunge wallpaper for your designs, this one’s a brilliant set. The pack contains 25 textures in high-resolution JPEG format. 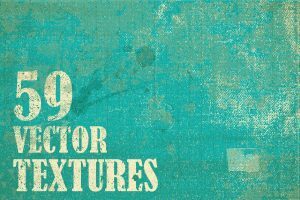 It also includes 57 vector halftone textures, 15 wood backgrounds, and 12 worn paper textures. You can buy this set for $12. Looking for blurred grunge wallpaper layouts? Then this set is perfect. 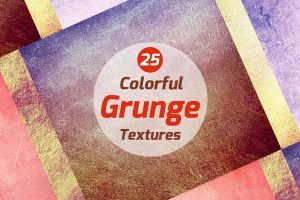 All 30 blurred grunge backgrounds are of high-resolution JPG format. It’s great for websites, prints, and presentations, whether for personal or commercial use. Buy it for $4. Are you feeling patriotic? 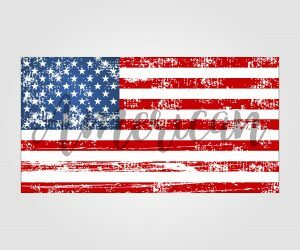 Why not celebrate your love for our nation with the Flag American Grunge Style vector? Get it for $3. If you prefer a subtle approach to making your designs look aged and worn-out, then check out Subtle Grunge. 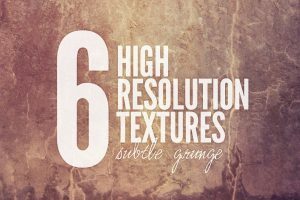 The grunge wallpaper pack includes 6 high-resolution textures in JPEG format. Get it for $3. Did you like what we have here? Would you like more recommendations? We’ll be happy to help you out. Contact us.